The Maya name "Chich'en Itza" means "At the mouth of the well of the Itza (people)". Although this was the usual name for the site in pre-Columbian times, it is also referred to in the ancient chronicles as Uucyabnal, meaning "Seven Great Rulers". Dominating the center of Chich�n is the Temple of Kukulcan (the Maya name for Quetzalcoatl), often referred to as "El Castillo" (the castle). This step pyramid with a ground plan of square terraces with stairways up each of the 4 sides to the temple on top. Great sculptures of Plumed Serpents run down the sides of the northern staircase, and are set off by shadows from the corner tiers on the Spring and Fall equinox. 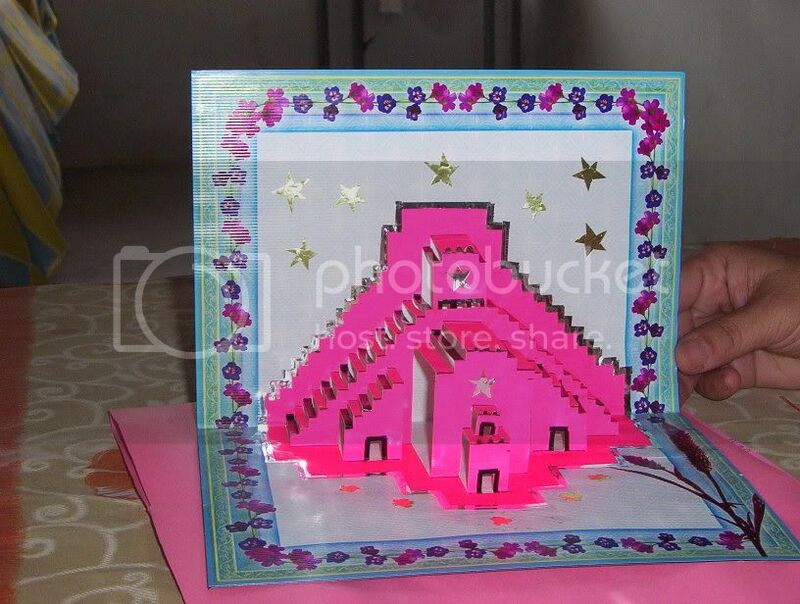 It was practice in Mesoamerican cities to periodically build larger and grander temple pyramids atop older ones, and this is one such example. 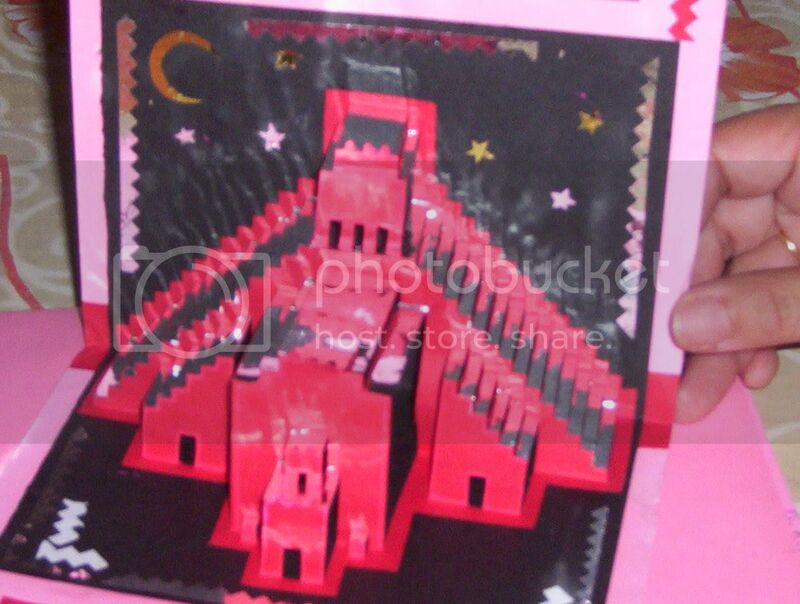 Chichen Itza became another main building featured in our Origami Architecture due to its magnificence. 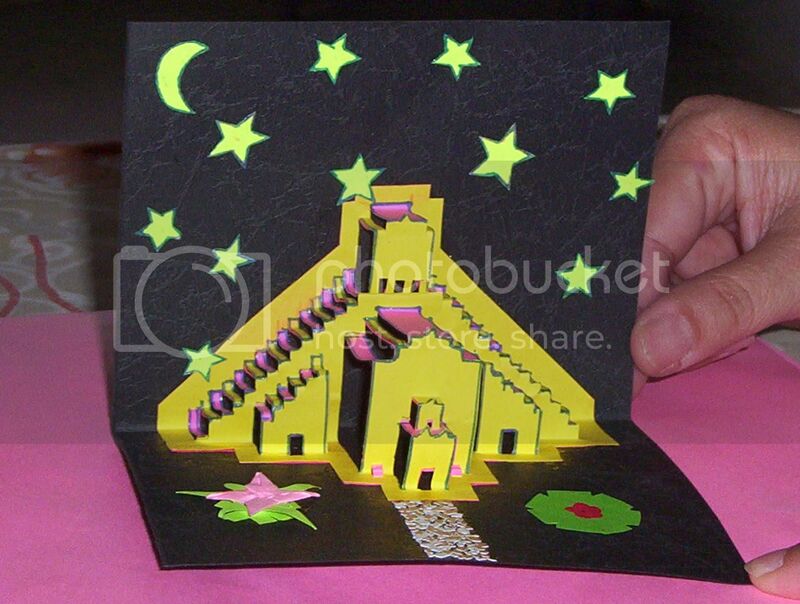 Chichen Itza is a relatively simple piece in Origami Architecture and provided the team with practice in order to complete the more challenging craft.